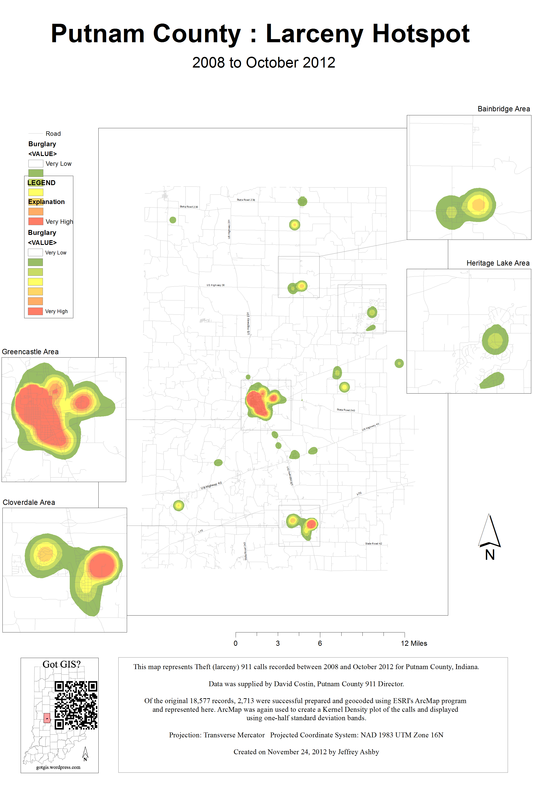 Putnam County, IN 911 Call Data Project | Got GIS? David Costin, Putnam County 911 Director, was kind enough to share the call data from 2008 to the end of 2012 with me for a project. The data was provided as a comma seperated value file that I have been working with in Microsoft Excel to format and prepare for geocoding. Geocoding is being done through ArcGIS for Desktop 10.1 and also the mapping and analysis. Initially I will just prepare a few kernal density maps (heat maps), but then I want to take it further and analyze these feature sets against things like population, median inciome, poverty levels, etc. 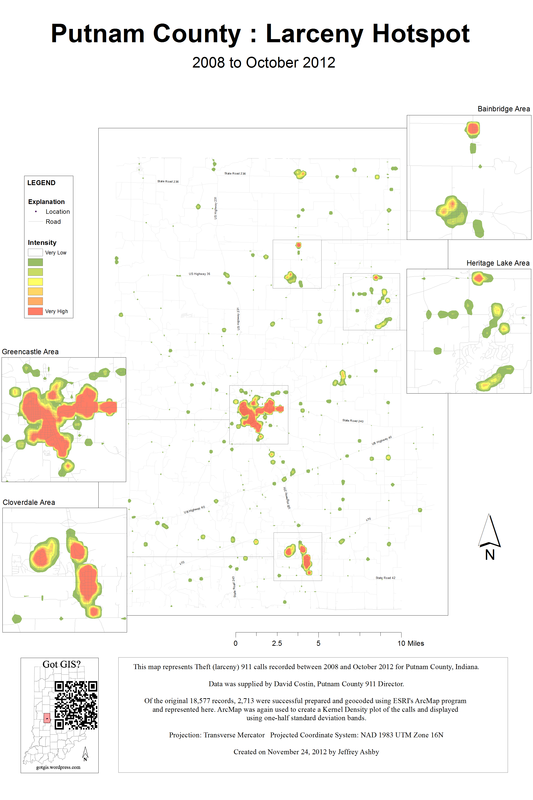 and apply some of what I am learning in my applied spatial stats class to get a better idea of what the map is showing other than just here is a lot of something. I also want to work toward creating these maps as Google Earth kmz files and enabling time on them. This would hopefully show changes in patterns over time, but it may require that I refine the extent to just a few cities, we will see. As always, your feedback would be greatly appreciated, as I am doing this as a project outside of class on my own. If anyone knows of a grant that would offset some of the costs from doing this (lunch meat sandwichs, copiuos amounts of coffee, etc.) please let me know.